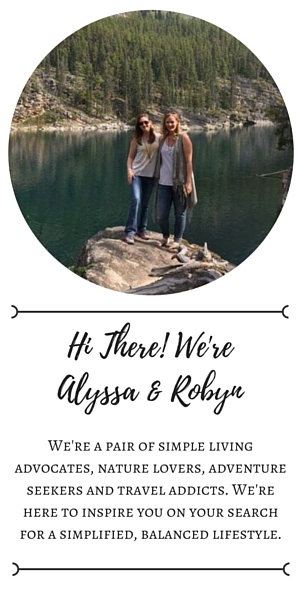 We’re big advocates of simple living here at Oak & Soul. For us the journey began with decluttering and unburdening ourselves of possessions. But like many people who start embracing minimalism, the search for simplicity led us far away from our closets and storage spaces. Minimalism is about more than stuff. It’s about more than simple spaces and a tidy home. It’s learning to prioritize what’s important in your life. It’s deciding what adds value to your life. It’s making room for what lights you up and makes you happy, and ridding yourself of what doesn’t contribute to that. Minimalism is more than an individual lifestyle choice. It’s become a social movement promoting sustainability, responsible consumerism and learning to see beyond the superficial. Here are some of the important side effects of the wave of people embracing minimalism and simple living. Our society doesn’t have a good, broad definition of success. What most people fall back on when evaluating the inherent ‘worthiness’ of another person is materialistic. The cars we drive, the clothes we wear and the homes we live in are often the standard by which we are judged. We can’t do anything about how other people perceive us, but we are in control of what measures we judge others by. Minimalism teaches us that the worth of a human being is not defined by the size of their house, the value of their car or the shine of their shoes. We’re able to see past the superficial to the individuals underneath. We’re not prone to dismiss another human being’s value because of superficial measures of worth or status. What is it about becoming a minimalist that makes people so grateful? Time and time again, blogger after blogger, the same theme comes up – (girl or boy) meets minimalism, falls in love and becomes grateful, happy and peaceful. The more a person embraces a minimalist mindset, the more grateful, happy and peaceful they become. Why? Because minimalism encourages an attitude of enough. When we have enough and stop chasing more, we become grateful for what’s already there. Minimalists have changed their priorities from chasing stuff to cultivating the things that actually fulfill the soul. We free ourselves up to actively pursue whatever it is that brings us joy. If you chase material wealth and possessions as a measure of your self worth or success you will NEVER be fulfilled. There is always something better, something newer, something fancier lying just out of your reach. Minimalism teaches us to see the value in what is already around us. We learn to identify, prioritize and be grateful for what brings us the most joy. This isn’t up for debate – the world can’t handle the rate that we consume. We live in a world of finite resources and an expanding population. It’s not just about the environmental costs that go into the manufacture of the mountains of clothes, toys, household goods and electronics we buy year after year after year. We have to remember to consider the impact of the waste created at the end of an items life span. We need to change our relationship with stuff. We need to stop the cycle of buying volumes of cheap products only to send them to landfills shortly after. Minimalism and a “buy it once” mentality is the solution. Prioritizing quality over quantity, taking care of what we have and purchasing only things we need helps reduce our negative impact on the planet. Minimalism and sustainability go hand in hand. We can’t ease the pressure we’re placing on the environment without more people adopting a minimalist lifestyle. For many people embracing minimalism opens a door to a whole new world of intentional living. When we begin to question one of the fundamental “truths” of our society – that more is better – our minds are opened to question more of the day to day habits we accept as normal. // Do we really need to be so busy all the time? Maybe we can give ourselves permission to slow down. // Do we need to keep up with changing styles? Maybe it’s time to step back from fast fashion and get in touch with our personal style instead. // Should we start being more mindful about where stuff comes from? Maybe it’s time to become a more intentional consumer and choose sustainable sources for the stuff we DO bring into our homes. We may be minimalists but we still need things! For me, the most life changing part of becoming a minimalist is the way it opened my eyes to intentional living. It encouraged me to examine my life through a new lens and allowed me to develop more awareness of the impact of the choices I make. Minimalism is more than how individuals interact with the closets and storage spaces in their homes. It’s a lifestyle that encourages us to examine our values and priorities, to seek out opportunities to be grateful and to see past the superficial in others. Pretty amazing concept for something so many people dismiss as being “just about stuff”. We always love to hear what our readers have to say. What’s the number one reason YOU think minimalism is important? Leave us a comment below!